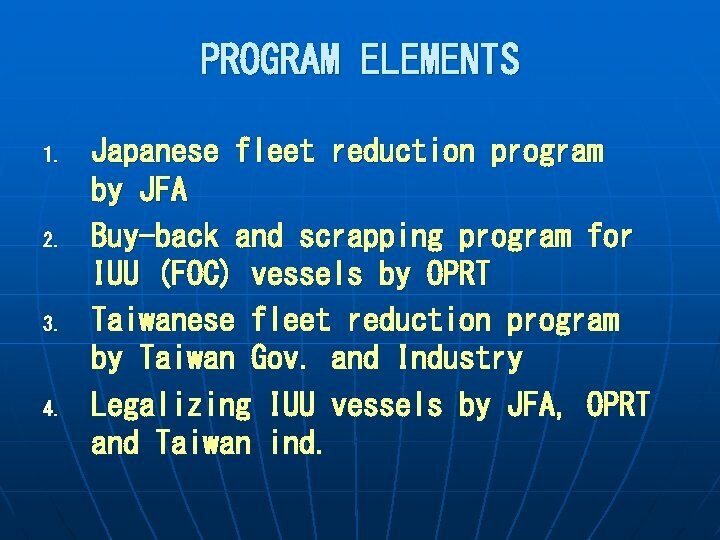 PROGRAM ELEMENTS 1. 2. 3. 4. 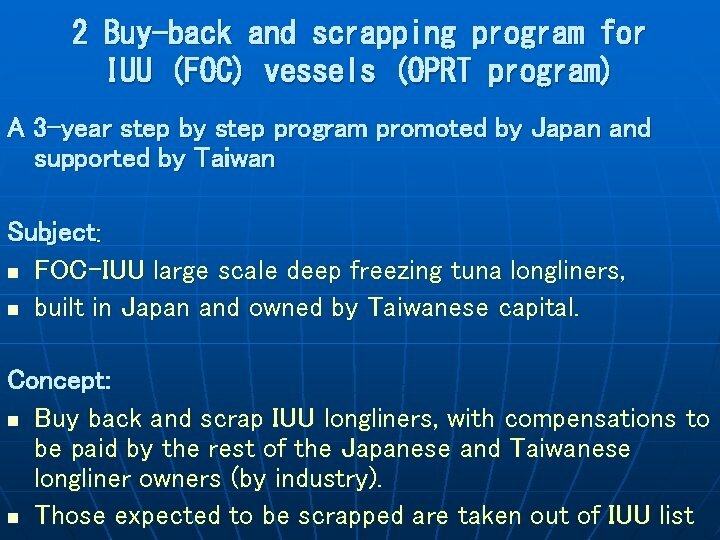 Japanese fleet reduction program by JFA Buy-back and scrapping program for IUU (FOC) vessels by OPRT Taiwanese fleet reduction program by Taiwan Gov. 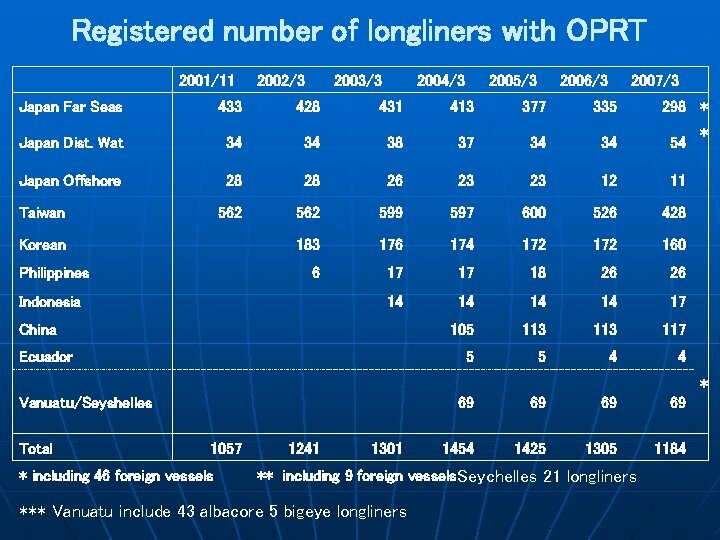 and Industry Legalizing IUU vessels by JFA, OPRT and Taiwan ind. 1. 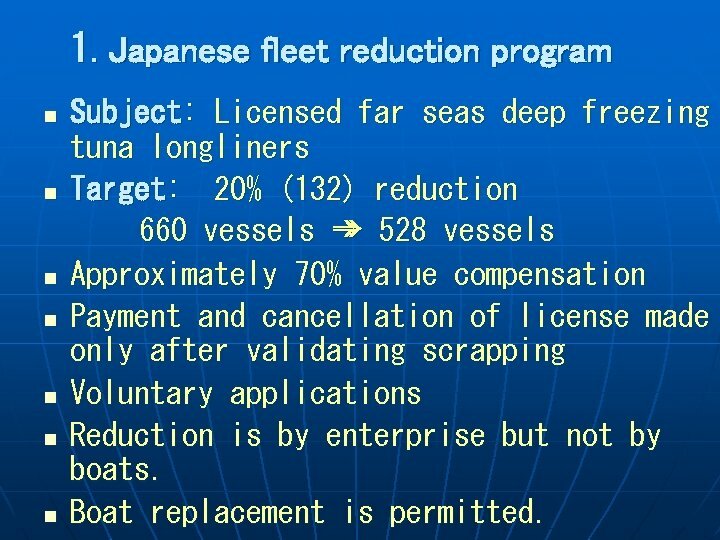 Japanese fleet reduction program n n n n Subject: Licensed far seas deep freezing tuna longliners Target: 20% (132) reduction 660 vessels ➾ 528 vessels Approximately 70% value compensation Payment and cancellation of license made only after validating scrapping Voluntary applications Reduction is by enterprise but not by boats. Boat replacement is permitted. 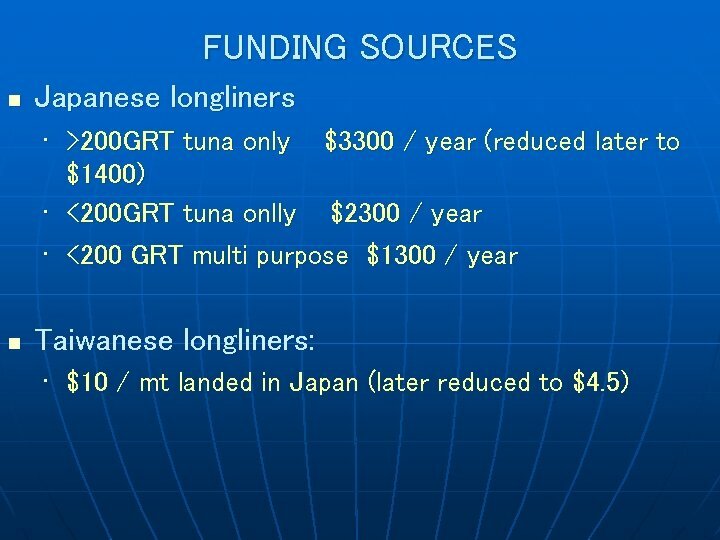 COMPENSATIONS n n In principle, Japanese and Taiwanese longline industry is paying The total of $33 million dollars, a 20 years loan with 0 interest from the Japanese Government, via OFCF and then OPRT. 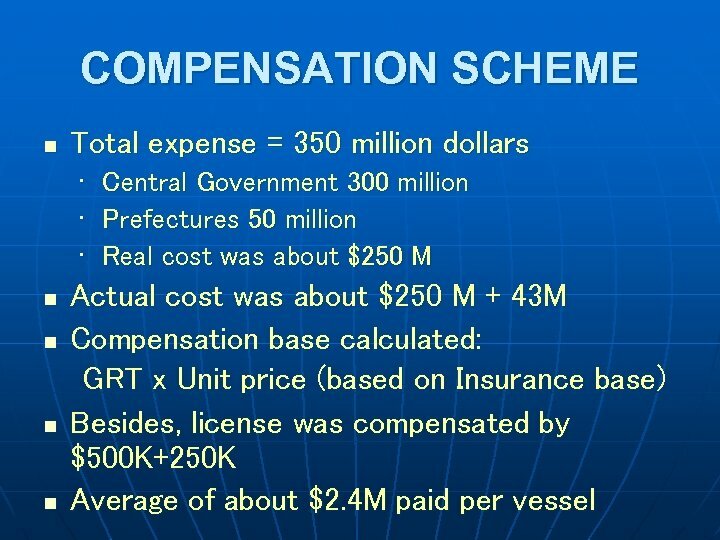 Real cost was 25 million dollars and 9 millions were returned to the government. 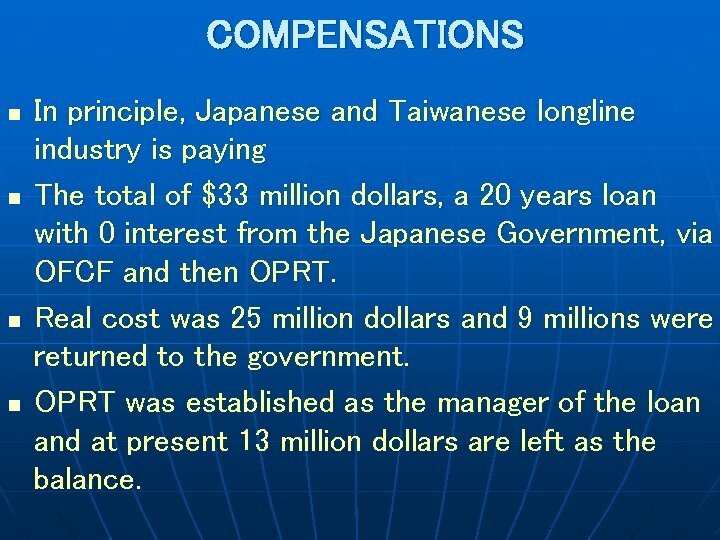 OPRT was established as the manager of the loan and at present 13 million dollars are left as the balance. 4. 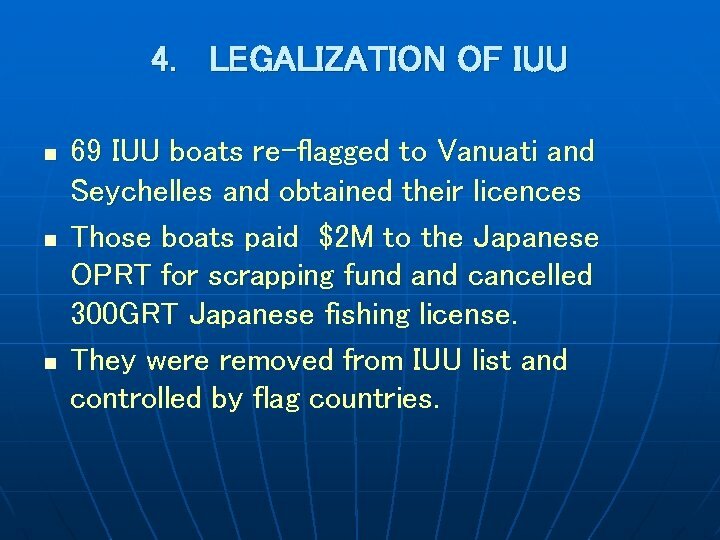 LEGALIZATION OF IUU n n n 69 IUU boats re-flagged to Vanuati and Seychelles and obtained their licences Those boats paid $2 M to the Japanese OPRT for scrapping fund and cancelled 300 GRT Japanese fishing license. 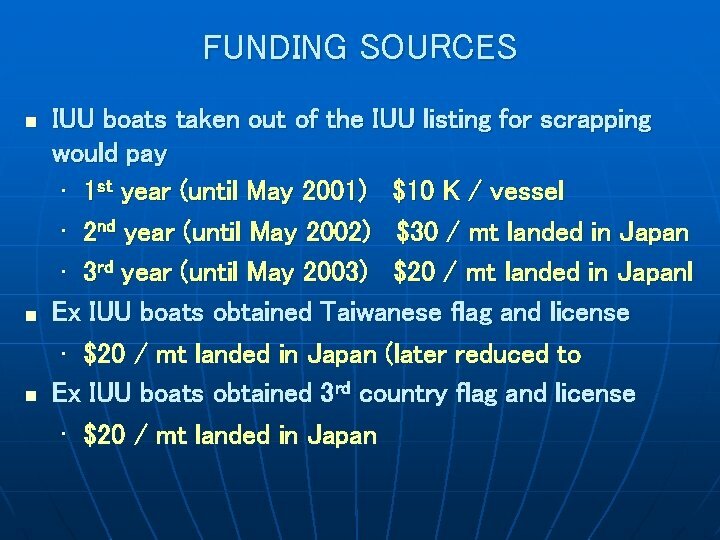 They were removed from IUU list and controlled by flag countries. 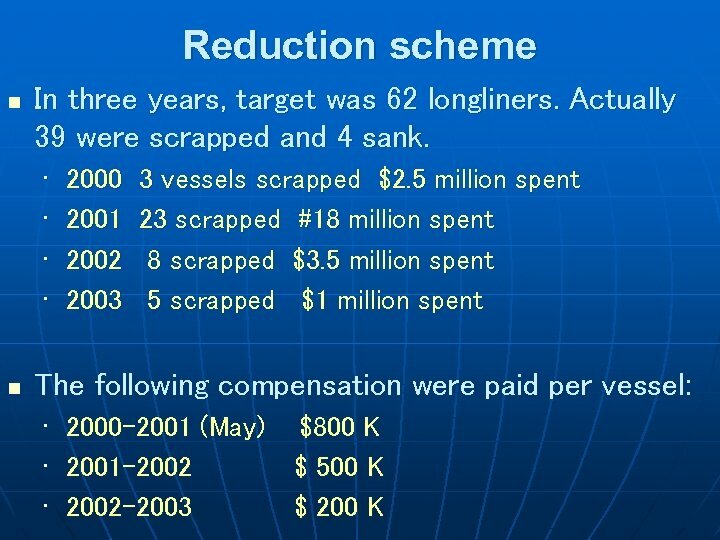 Problems Many boat owners think that n Compensations helped only loaners but not owners. 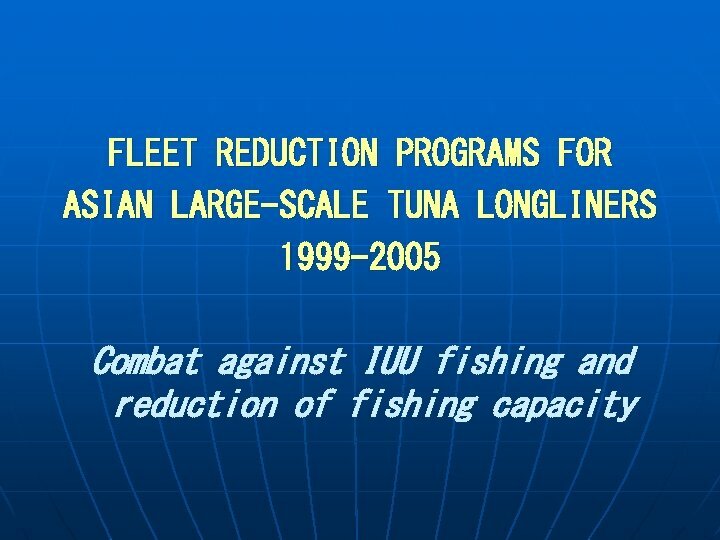 n They developed tuna fisheries according to the national policy. 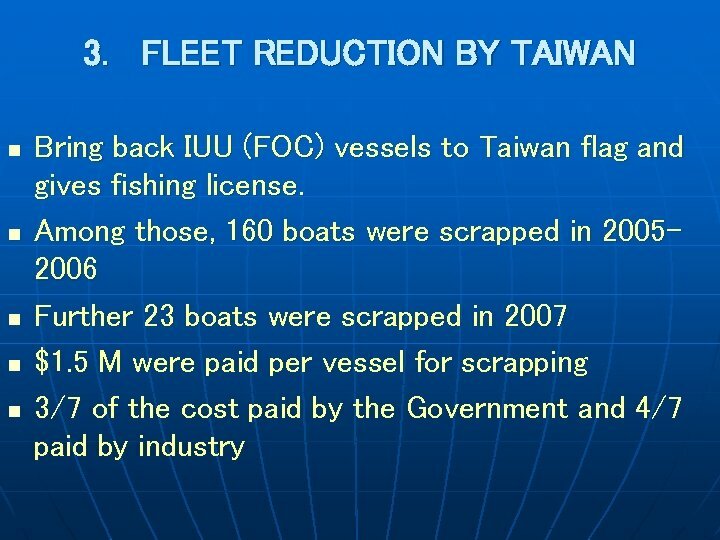 Why they sacrifice n The second hand boats were exported by Shosha and added fishing capacity n Generally old and inefficient boats are candidates for buyback and scrapping n Mitigation of incidental catches alone reduced the fishing capacity already. n Why longliners alone suffer and sacrifice. 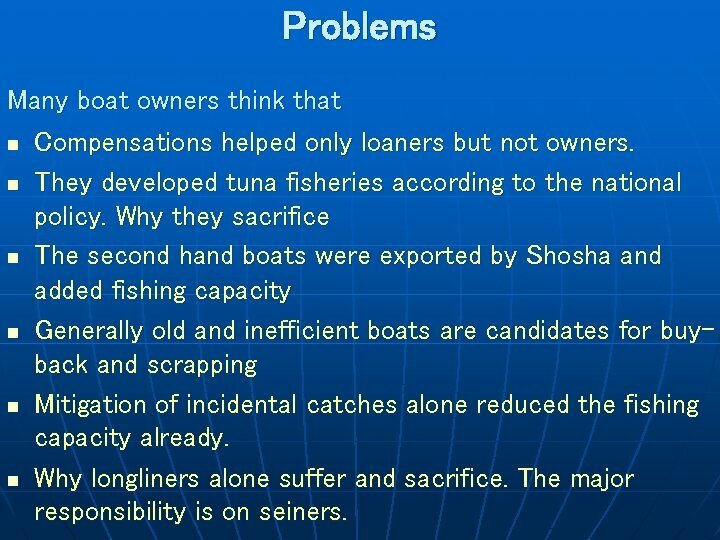 The major responsibility is on seiners.